1. Login to your Yola account and make sure you are on the "My Yola" page. 2. Click Domains on the top menu bar and then click Advanced settings for the domain you would like to edit. 3. 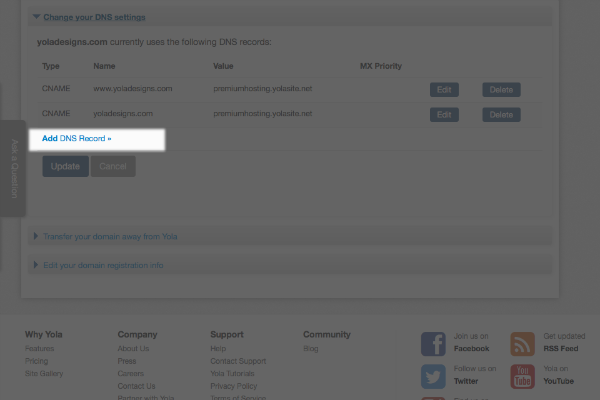 To access the A Record, click Change your DNS settings. 4. 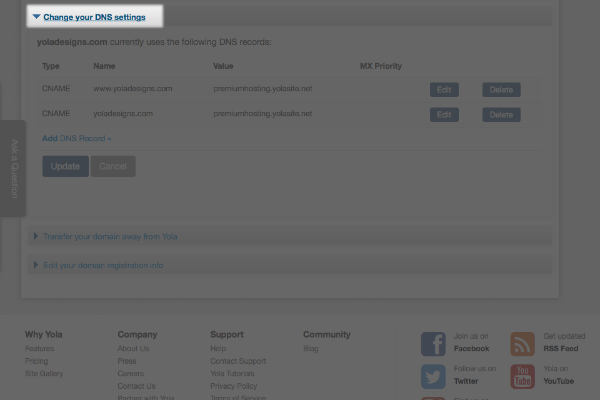 To add an A Record, click Add DNS Record. In the first A Record, leave the name blank and paste the IP address into the "Value" field. In the second A Record, add 'www' under the name and paste the IP address into the "Value" field. The original A Records will still remain but be overwritten. 6. Click Update to make the changes. Please note that it can take up to 48 hours for this change to fully propagate across the Internet (though usually a lot less). 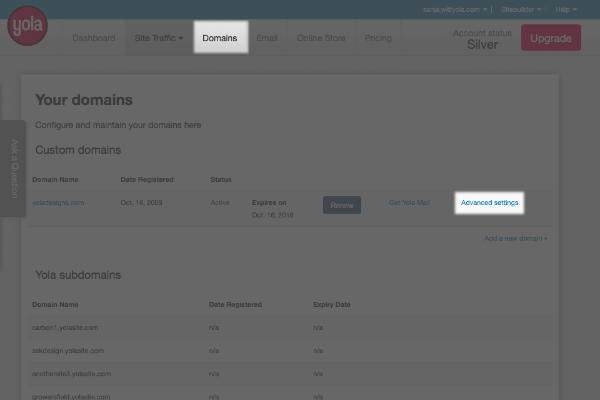 Changing your domain settings can result in your site no longer working.